Basement finishing is a big job, and we know you want it done right. Count on Total Basement Finishing of Connecticut for a fast, professional basement remodeling project for your home. If you're interested in a free, no obligation basement finishing quote, call us or contact us online today. 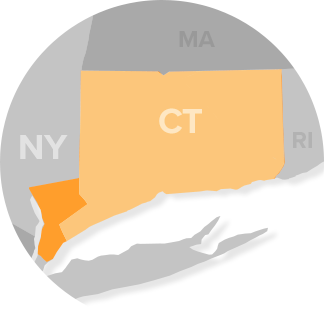 We service the Connecticut and Westchester County area, including Trumbull, Norwich, Groton, Glastonbury, Westport, Wethersfield, Torrington and nearby. There are seven basic steps towards basement finishing. Here at Total Basement Finishing of Connecticut, we provide the services to execute your project from start to finish. At Total Basement Finishing of Connecticut, we never forgo the finishing touches. We have several designs for base trim and casing for your walls and doors. If you'd like a free basement finishing estimate for your home, we're ready to help you! Call our professionals here at Total Basement Finishing of Connecticut to schedule your on-site inspection today. We are happy to help homeowners all throughout Connecticut, New York and Massachusetts including Stamford, Norwalk, Yonkers, Springfield, New Haven, Danbury, Mount Vernon, Greenwich, Westfield, Holyoke and nearby!